The eco-friendly leather cover has an adjustable closure system and is of a very high quality. The interior has 6 removable plastic pockets for your pilot's licence, radio operator's certificate and other such documents. 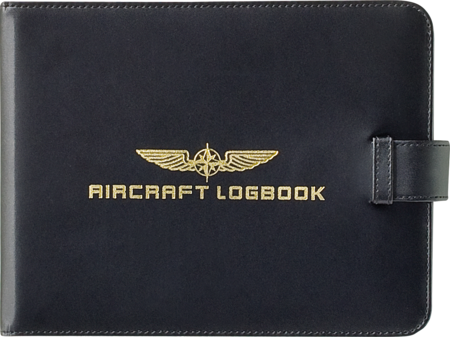 This pilot logbook case is also suitable for hardback logbooks. Four further pockets provide space for fuel cards, credit cards etc. and there is also an elastic pen holder.